Each and every day, the markets grant us the right and privilege to earn capital. The question that often daunts a trader is “am I doing the right thing?” Should I go long or short? Why are these markets so volatile? If only trading were easy. Well, sad to say, trading isn’t easy. It’s a tough business and even in the past year or so it has become increasingly difficult. Trading is work and is a business. There was a time, not too long ago when the perception was “trading isn’t work, it’s easy.” Well the truth that time is long gone and isn’t returning any time soon. It is our objective to making trading easier. Notice I didn’t say easy, I said easier. With Market Tea Leaves you will know 3 plus hours before the trading day begins what kind of a market you’ll be dealing with on that particular day. Will it be an upside day, a downside day or a neutral day? You will know what’s driving the markets in terms of issues or events that can either prop the markets up or drag it down. You will get our Market Bias video that will explain why we came up with the bias we did on that day. In recent years the markets have become quite ferocious in terms of not having mercy on novice traders. This isn’t the 1990’s any longer. Back then you could make a mistake, blow your foot off and make it back the next day. This market has no mercy for novice traders. We are faced with many challenges that we did not have to deal with in the 1990’s. We have a Federal government that doesn’t understand the markets, doesn’t care about the markets and quite frankly doesn’t care about traders or trading in general. But they have no issue increasing regulation that makes no sense. We didn’t have High Frequency Trading in the 1990’s and yet HFT accounts for over half the transactions that occur in the markets today. We live in a global economy where when an event happens somewhere in the world, it can effect worldwide markets. Think about what happened in Cyprus last year or more recently what occurred between Russia and Ukraine. If China reports bad economic news this has the capacity to drag down markets worldwide and has already. Don’t you think you owe it to yourself to put the odds in your favor? 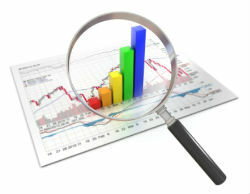 Download our free eBook, this will give you the basics on Market Correlation; explore our site. We’ll be talking soon….